Obama says legalising drugs a "Legitimate Topic for Debate"
The following press release has been issued by Law Enforcement Against Prohibition (LEAP) . Whilst some way from a shift in policy it is at least a significant shift in tone, especially given the US Drug Tsar's insistence that 'legalization is not in the president's vocabulary nor is it in mine'. Well, here he is talking about it, and certainly not laughing it off like the last time he was asked. He specifically says he doesnt support legalisation, but certainly seems to be edging towards some form of decriminalisation of use. Progress then, albeit small steps. And as LEAP make clear - its important for actions to match words. 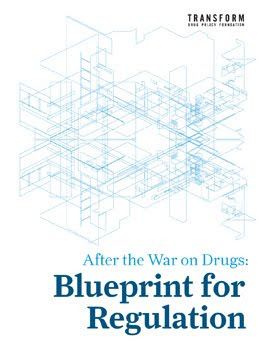 We are pleased to announce the publication of a Russian translation of 'After the War on Drugs: Blueprint for Regulation' (24 page executive summary),Transform's groundbreaking 2009 publication that considers the detail of how a post-prohibition regulatory framework for drug markets can operate (click the image below to view the pdf). We are grateful to our Russian colleagues for providing the translation. 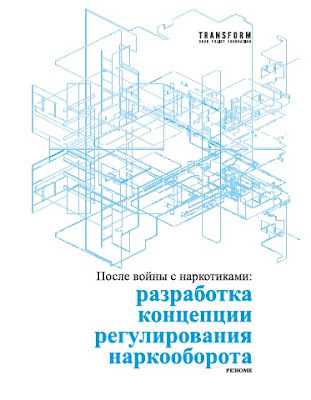 The Russian translation of the exec summary joins the existing translations in Portugese, Spanish and Italian (print copies also available). A German translation is due for pulication shortly. 2011 will also see the arrival of translations of the complete text of the book into German, Spanish and Italian. TNI detail latest developments as a number of countries withdraw objections, whilst the US continues its manoeuvring to push the objection through. Several governments led by the United States are mobilising to block a request by the Bolivian government to remove an international ban on the centuries-old practice of chewing coca leaves. The 18-month period to contest Bolivia’s requested amendment ends January 31, 2011. In 2009, Bolivia’s first indigenous President, Evo Morales Ayma, sent a request to the United Nations to remove the unjustified ban on coca leaf chewing. This would amend the 1961 United Nations Single Convention on Narcotic Drugs and bring it in line with the 2007 UN Declaration on the Rights of Indigenous Peoples. In the 1990s, a study conducted by the World Health Organisation concluded that chewing coca causes none of the harmful health or social consequences as cocaine use. The US blocked the publication of this evidence. The US and a number of other governments including the UK, France, Germany, Italy, Sweden, Denmark, the Russian Federation, Japan and Colombia are now planning to stop the right of Bolivians to express their own culture. They are planning to lodge formal objections to the amendment prior to the deadline on the January 31, 2011 which would result in the UN rejecting the Bolivian request. In 2009, the Bolivian government requested that the United Nations amend the 1961 UN Single Convention on Narcotic Drugs(1). The proposed amendment would remove the unjustified ban on coca leaf chewing while maintaining the strict global control system for coca cultivation and cocaine(2). The 18month period to contest Bolivia’s requested amendment ends January 31, 2011. Several countries, including the United States, Colombia, the Russian Federation, Japan, France, the UK, Germany, Italy, Sweden and Denmark, are considering submitting formal objections to the Secretary General. IDPC calls on these governments to think again. The continuation of the ban clearly conflicts with official multilateral government declarations, including the 2007 UN Declaration on the Rights of Indigenous Peoples(3). Protecting the indigenous and cultural right of Andean-Amazon peoples to chew coca does not undermine the international efforts to address the significant problems related to the illicit cocaine market. The amendment’s defeat would demonstrate that the international community continues to prioritise a punitive zero-tolerant approach to drug control over the rights of indigenous peoples. Objecting to the requested amendment would perpetuate an obvious violation of these liberties. seen as a normal part of the modernisation process to make them fit for purpose in the 21st century. The 1961 Single Convention on Narcotic Drugs(4) is the key United Nations agreement that enshrines the global drug control system. When it was drafted and agreed, one of the drugs that Western governments wanted to bring under tight international control was cocaine. However, a dilemma existed in the widespread and culturally embedded traditional practice of chewing coca leaves in several Latin American countries (Colombia's Indigenous territories, the Brazilian Amazon, Peru and Bolivia and the North of Argentina and Chile). Unlike cocaine use, chewing coca leaf causes no known health or social problems. Nevertheless, chewing coca was banned, with governments being given twenty-five years to eradicate the practice. That deadline expired in 1989(5). Since then, the International Narcotics Control Board has constantly pressured countries to enforce the ban. The ban on coca chewing was passed in a time when scant attention was given to cultural and indigenous rights, and records of the debate around coca leaf at that time show that the international community did not consider the rights and interests of the communities that consumed coca leaves to perpetuate religious, social, cultural and medicinal traditions. coca leaf chewing in the Single Convention(6). Analysts sharply criticised the report as arbitrary, imprecise, racist, and culturally insensitive. Fifty years on, the United Nations has commendably agreed much stronger protections for indigenous rights. 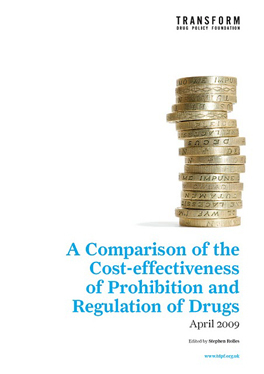 These resolutions raise questions regarding some aspects of the drug control conventions. 1) The 1988 Trafficking Convention stipulated that any measures “shall take due account of traditional licit uses,” but immediately neutralised its possible application by holding that it could not undermine obligations assumed in previous treaties. 2) The World Health Organisation and the United Nations Interregional Crime and Justice Research Institute initiated the Cocaine Project(7) in the early 1990s. This project concluded that traditional consumption of coca leaves has no negative health effects and fulfils positive therapeutic, sacred and social functions for indigenous Andean populations. However, U.S. diplomatic pressure blocked the study’s publication, revealing a determination to assure that ideology prevails over scientific evidence. In April 2010, the Permanent Forum on Indigenous Issues, an advisory body to the UN Economic and Social Council (ECOSOC), welcomed Bolivia’s amendment on the traditional use of the coca leaf. “The Forum recommends that Member States support this initiative.”(9) In May 2009, the Forum stated that it “recognizes the cultural and medical importance of coca in the Andean region and other indigenous regions of South America” and recommended “the amendment or abolishment of the sections of the Convention relating to the custom of chewing coca leaf that are inconsistent with indigenous people´s rights to maintain their traditional practices in health and culture enshrined in Articles 11, 24 and 31 of the Declaration”(10). amendment’s approval, with the understanding that its stipulations will not apply to objecting nations. Declarations on the rights of Indigenous Peoples is long overdue. 2. Cocaine is the concentrated alkaloid extracted from the coca plant. The process of extracting this alkaloid is difficult and lengthy, involving numerous chemicals and requiring significant quantities of coca leaves (upwards of 100 kilos). It is not economically viable to extract cocaine from sun-dried coca leaves, coca tea or coca flour available in the legal consuming markets in the Andes region. See Henman, A & Metaal, P. (2009) Coca Myths. TNI Drugs and Conflict Debate papers, June 2009, No. 17, http://www.tni.org/sites/www.tni.org/files/download/debate17_0.pdf. chewing of coca leaves was the 12th December 1989. 11. Article 384 of the Bolivian Constitution: “The State protects the original and ancestral coca leaf as part of the cultural heritage, and a renewable natural resource of Bolivia’s biodiversity: in its natural state it is not a narcotic. Its valuation, production, trade and industrial uses will be defined by law”. Sinn Féin, Ireland’s fastest growing political party, has taken several steps to encourage a more effective, evidence-based approach to tackling the problems of drug addiction and drug-related crime. “The administration of criminal justice as it interacts with drug-related crime should be reviewed, reformed and tailored to more effectively address and reduce systemic crime, economic compulsive crime and psychopharmacological crime. A broad societal debate considering every possible approach and all relevant evidence from other jurisdictions including those that have experimented with decriminalization and/or legalization is warranted to this end. In contrast, Ó Snodaigh rightly claims that by taking a regulatory approach to the sale and distribution of legal highs, the new bill will help to “protect public health and reduce the risk of harm from such products and substances”. Ó Snodaigh further highlighted his party’s commitment to establishing a more effective drug policy by putting a parliamentary question to the Irish Minister for Foreign Affairs, Micheál Martin. After being made aware of the proposal by Transform, Ó Snodaigh asked the Minister for his views on carrying out a transnational impact assessment of drug policy, a measure initially advocated in a briefing paper by the International Drug Policy Consortium. Martin’s response to the question was typically evasive and dismissive, stating that he was “not aware” that the IDPC’s proposals for an impact assessment of drug policy had been raised in any relevant international forum. As Transform is proposing, impact assessments of drug policy are a vital step in establishing a fairer and more successful solution to the challenges of problematic drug use and the illegal drug trade. Without such non-partisan evaluations of drug policy, drug war ideology, knee jerk responses to media panics and populist law and order posturing will continue to underpin governmental approaches to drugs. Bad policy can be the only result and the plight of the most vulnerable members of society will continue to worsen.